Did the Exodus actually happen, since there is supposedly no archaeological evidence? Dr. Fleming: In Judaism, when you ask a difficult question, the rabbis would always preface it by saying, "Please tell me while standing on one foot." So, I will give you a one foot answer. You should not expect The Egyptian Daily News to have an article about Pharaoh and his army being defeated. They only would report victories. And so, it is not surprising that we don't have recordings of defeats. Everything the king says is good and powerful and stuff like that. 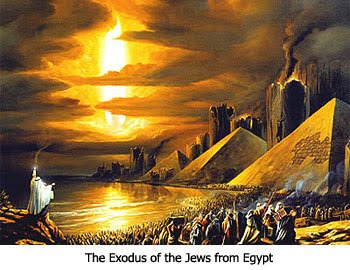 There are many evidences, though, that the Hebrews came from a time living in Egypt. The land itself shows a gradual change of pottery from east to west, meaning from the Jordan Valley to Mount Judah to the coastal plain, just as presented in the books of Joshua and Judges. This shows that people did enter from east of the land as the Bible says. More specifically, there are some things that we need to be open to. Could there have been more than one exodus? The Bible records more than one route for the Exodus. In one tradition they are not allowed through Moab and Edom, yet in another text the kings of Moab and Edom let them through. At some sites in the land they worship the Lord at Gilgal, while at Shechem and other sites they battle. Could there have been a number of times the Lord brought people out of Egypt? The largest exodus would have been the Moses/Joshua led exodus and that is what ended up in the Bible. The total number then would be the number that the Lord brought out of Egypt on a number of exodi. We just have to be careful to say the Bible says for sure there is only one Exodus when there is more than one route in the Bible. If it may have, it still would be an Old Testament miracle of par excellence. God brought the forced labor class from out of Egypt and He started their own nation. 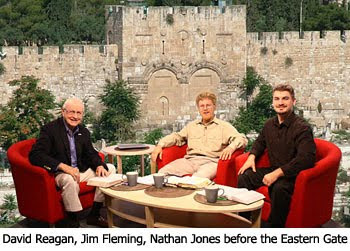 Nathan Jones: I've never before thought of there possibly being more than one Exodus, or considered a number of Hebrew groups merging together at some point under Moses' leadership. What do you think? More than one route? That’s news to me! Didn’t they do a loop back on themselves at one point – each pass being different? Too tired to look right now. Exodi – THE Exodus is, I believe specific, can’t argue against it being several, but it doesn’t sit right with me. I have looked up what I can on seeming contradictions, but neither of these came up. When I don’t know for certain, I tell the Lord about it then trust him to clarify at a later date. I was interested in the blog and thought you might be interested in a new book just out (May 27, 2011), EXODUS, The Route, Sea Crossing, God’s Mountain. The sites of Elim, with its 12 wells is found not where expected but in the Eastern Desert of Egypt! With more traditions for this route than any other I have read, with a Synagogue, Monastery, Mosques and ancient traditions that have Israel on this route! For the sites of the ‘Graves of lust’ (Numbers 11:34) it has 30 short catacombs (about 25 to 80 feet long) which were filled with broken vases of cremated remains. There were no Greek or Roman towns in the area and the ancient Egyptians, Arabs and Jews did not cremated but God’s fire fell on them (Psalm 78:20-21). The next encampment after the Graves of Lust was Hazeroth (Numbers 11:45), where Miriam, the sister of Moses, was struck with leprosy and the Bible said she would have had to wash before reentering the camp of Israel (Leviticus 14:9), and a short distance from the catacombs is the Monastery of St. Paul with its “Pool of Miriam”, where they say that Miriam washed during the time of the Exodus! The book has 375 pages filled with new information, definitely not the same arguments or beliefs about the route and place names of the Exodus, there were two Kadeshes (the Egyptians gave this name “Holy Field”), there were two Mount Seirs!